The Gift is surely the most misunderstood work in the history of anthropology. Marcel Mauss is not entirely without blame for this. It is a work of notoriously scattershot brilliance; but, as a result, the essay has become a kind of screen for the projection of every sort of fantasy. Guyer’s excellent new edition will go a long way towards finally straightening matters out. There are endless riches here. But finally they are also in a form where we can see exactly what we’re being given. 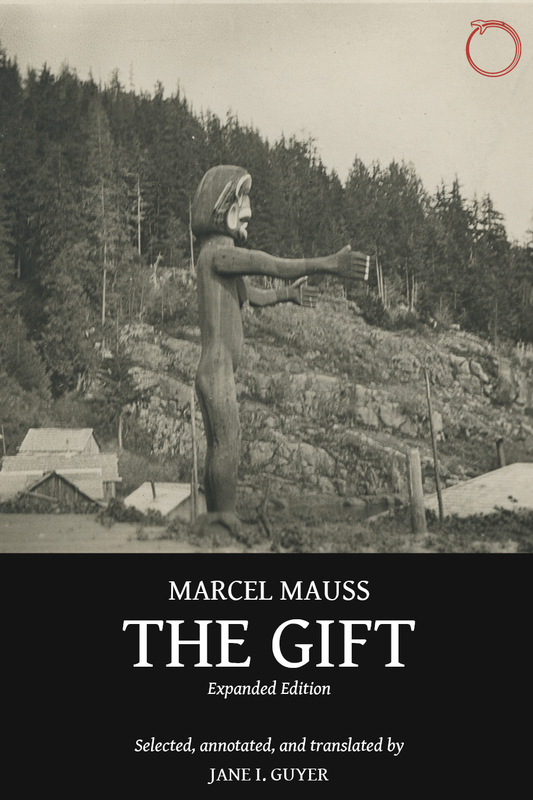 The Gift is like a river that carries an immense mass of facts set in motion by Mauss’ vision. Guyer proves to be a skilled guide in navigating its perilous currents by giving us a nuanced translation that explores the text’s most secluded coves. Marcel Mauss wrote The Gift to refute the contrast between free gifts and self-interested markets. Yet, the opposition that he attacked—gift economy versus market economy—is often attributed to Mauss himself. Previous English translations were taken out of their historical context. Guyer has restored that context and has made the sociological argument more explicit. This long overdue publication will transform the essay’s reception, and stands to correct a text whose fame far surpasses most readers’ grasp of its meaning. Not only is Guyer extremely attentive to the wealth of connotations stirred by every word, in every language; she is also attuned to understanding Mauss’ essay in the context in which it was written. This gives the reader the sense that Mauss is finally grasped fully—as an inexhaustible source of inspiration. Marcel Mauss (1872–1950) was a French sociologist and founding figure in anthropology. His widely-cited and influential writings have inspired generations scholars across the disciplines. Jane I. Guyer is the George Armstrong Kelly Professor Emerita in the Department of Anthropology at Johns Hopkins University. Hann, Chris. “Can the gift be sponsored?” Journal of the Royal American Institute 22, no. 4 (2016): 984-989. Among the most welcome features of this third English translation of Mauss’s classic is Jane Guyer’s decision to re-embed the Essai sur le don: forme et raison de l’échange dans les sociétés archaiques in its original setting in the journal L’Année Sociologique as published in 1925. Her translation and discussion of some of the original framing materials (twenty pages of moving tributes to deceased colleagues before the Essai, and another twenty pages of book reviews at the end) demonstrate more effectively than the earlier English editions both the significance of the timing of this publication in the aftermath of the Great War and its centrality to the Durkheimian school. It was not possible to include all of the voluminous book reviews, and some of the excerpts are extremely brief, but, with the help of research assistants, Guyer has managed to track down the original English of most of Mauss’s quotations. Unlike previous translators, she contributes a substantial introduction, in which she elaborates on the difficulties of rendering Mauss’s text in English. …So, why are the works of Mauss and Durkheim, and this text in particular, still so important to the anthropological canon almost a century after they were written? Part of the explanation is surely that, in an age of ferocious specialization, we respect the old-fashioned polymath who can glide so easily from philology to legal history and, following numerous ethnographic detours, end up with profound social commentary on his contemporary world. The more important raison must be that, however different our moment in history, that commentary is still relevant. Mauss’s onslaught on the individualism of Anglo-Saxon liberalism offers a different view of human sociality, one that should be recovered today. Like Douglas, he is adamant that the gift economy has not disappeared in industrial society, though we may misrecognize its forms. It just needs to be reinvigorated. Although Mauss never employed the term ‘moral economy’, in contemporary jargon we might say that this is what he and the other Durkheimians were pursuing. Goodman, Zoë. “What’s the point of the ‘Mauss haus’? The Gift and anthropology today.” Focalblog, 16 June 2016. Guyer’s journey with The Gift began with a realization of the striking difference in size between the first English translation (Mauss trans. Cunnison 1954) and the original publication in L’Année sociologique (Mauss 1925). What had been left out of the significantly thinner translation? The original, Guyer discovered, published to mark the relaunching of L’Année after the hiatus of World War I, started with a memorial to deceased colleagues and students (many of whom died in battle) and ended with an extensive review section (addressing the works of Malinowski, Radcliffe-Brown, and Boas, among others), much of it written by Mauss. Guyer’s decision to produce a new translation arose from a conviction that this contextualization—particularly the memorial and select reviews from Mauss—is critical for understanding The Gift itself. Mauss, Guyer argues, was writing out of an urgent need to find inspiration from other parts of the world, that Europeans might learn “to confront one another without massacring each other” (2016: 197). The new translation thus importantly changes the emphasis within the text. What was a round-the-world-ticket collection of notable instances of exchange—the accuracy and veracity of which have already been endlessly debated—emerges as a passionate political treatise written at a poignant moment in European history. Hicks, Dan. “The return of ethnographic theory: HAU and when.” Anthropology Today 32, no. 3 (2016): 22. When is ethnographic theory? At a time at which so much of our theoretical development involves rethinking our disciplinary past, our answer might involve a kind of museum archaeology. Just as the archaeologist understands a museum object as the duration of an idea, so too anthropological knowledge can be conceived as a form of revisitation: a mediated, political and transformative return (Hicks 2016). In 1972, Marshall Sahlins wrote that Mauss’s Essay ‘remains a source of an unending ponderation for the anthropologist du metier, compelled as if by the hau of the thing to come back to it again and again’ (Sahlins 1972: 149). Today, we might use Mauss’s account of archaism to reimagine residuality and reciprocity. Mauss and Guyer show us that the translator is always both donor and recipient. There is a force, just like the force in the gift, in anthropological knowledge. The return of ethnographic theory brings new obligations to our disciplinary past, through the fulfilment of which that past and our present become less stable than we might imagine.